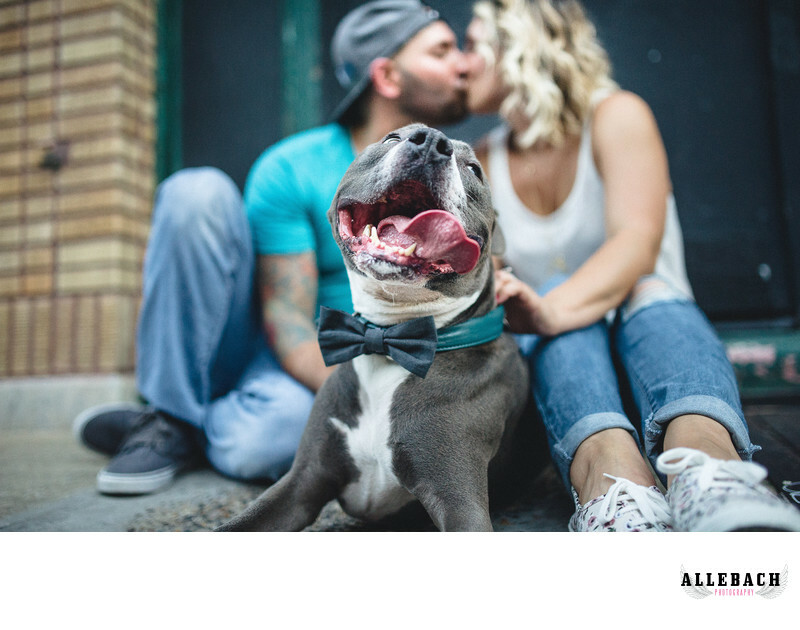 Check out this super cute pitbull in this engagement session on Passyunk in South Philly. If you are looking for a creative South Philadelphia engagement photographer, check out Allebach Photography. We are located only minutes from Philadelphia. Location: 1501 E Passyunk Ave, Philadelphia, PA 19147.